Allright, so after weeks of investigation, pinterest overdosing and googling I am getting ready to order my patterns. I have a full weekend with a western theme coming up in may (plenty of time) and I plan on taking the opportunity to go all in! 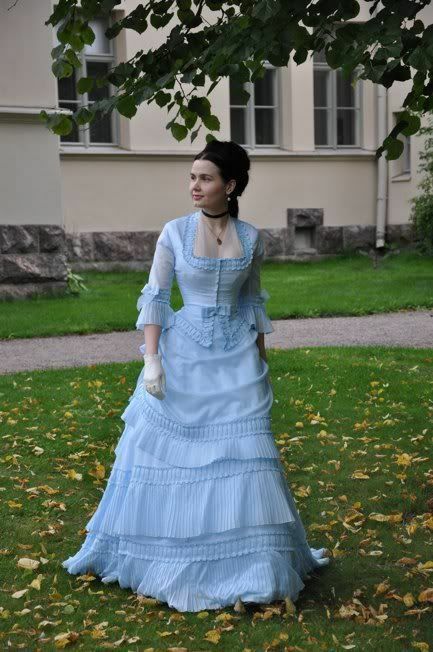 I'm thinking of making three diffrent outfits, a printed cotton daydress with a modest bustle, a full gala gown with a big pouf for the gala dinner on Saturday night and a Steampunk inspired outfit with holster and no demand for historical correctness for the Friday night costumeparty. Now I've picked out a bunch of patterns that I hope to be able to mix and match for all my looks and I wanted your opinion on my choices. I'm getting the LM100 for the underthings, the TV101 for the bustle (eventhough the wires seem very scary!). 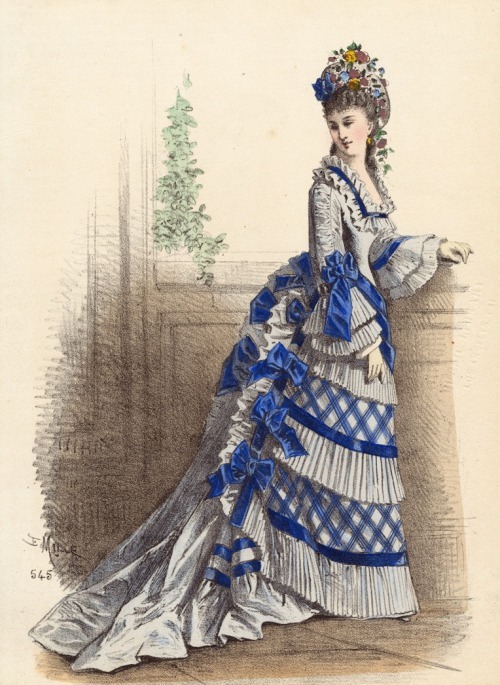 Do I need a second petticoat? Which pattern should I choose? Also, mostly for the steampunk dress the TV305 bustled apron overskirt, not sure if I will have a full lenght skirt underneath or not for that outfit. Always loved dressup though so I have a bit of sewing under the belt. I don't usually buy patterns though, just have a basic dress patternconstruction that I use as a base. This project felt too big for that! I am itching to get started but wanted a second opinion on my plan. I still would like your opinion though. To give a bit of a feel of what I'm going for, let me give you some images. And the pink one here but with the low neckline and shorter sleeves. Am I completely off choosing TV208 and TV460 to try to achieve these looks? 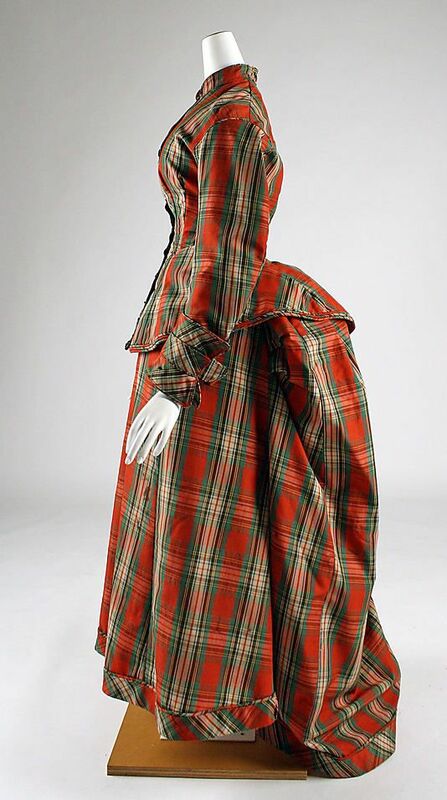 The TV208 skirt is good for all those skirts except the brown dress which looks like it has the more asymmetrical drapery common in the 1880s. You must post pictures of your work. Your weekend sounds very exciting! Don't let the corset scare you. If you use the Dore pattern, it's all straight line sewing. Good luck and post pictures! 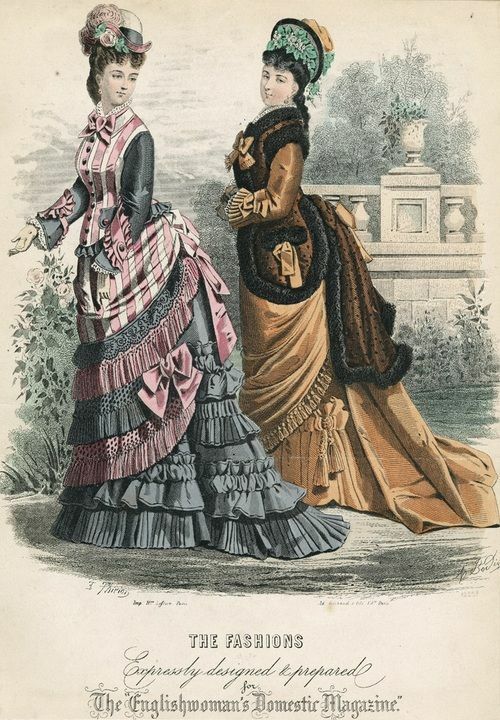 Edit to add: if you like a sassy look, the wash overskirt worn by itself with fishnets and high button boots is very steamy-punk.